Recycling is a worldwide trend that not only helps cut down on waste but is also big business. This infographic breaks down some of the basic numbers of recycling, such as how many tons of electronic equipment are thrown away each year, and highlights the countries that recycle the most, such as Austria. 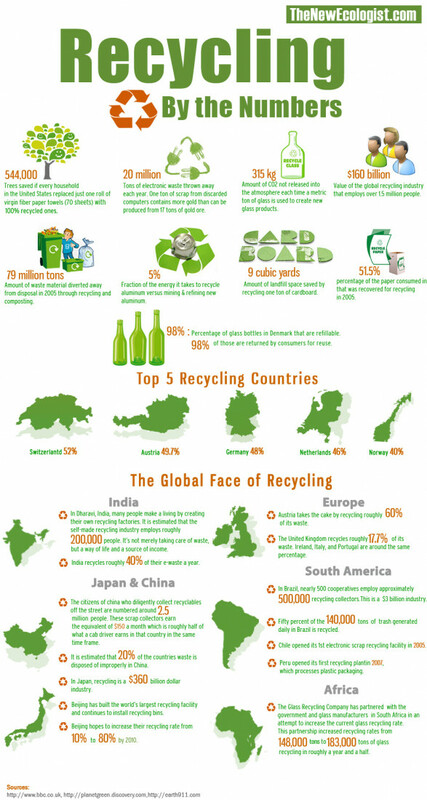 Read on to find out more about recycling and to see if your country ranks near the top.